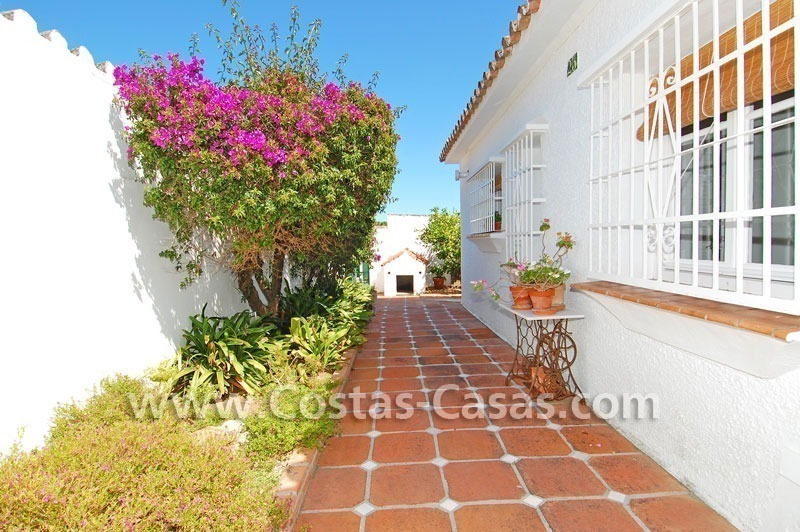 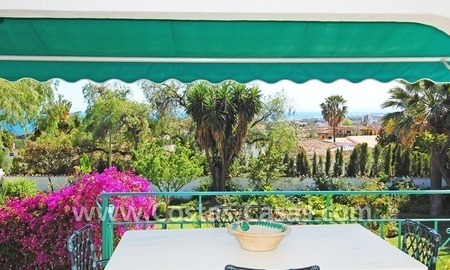 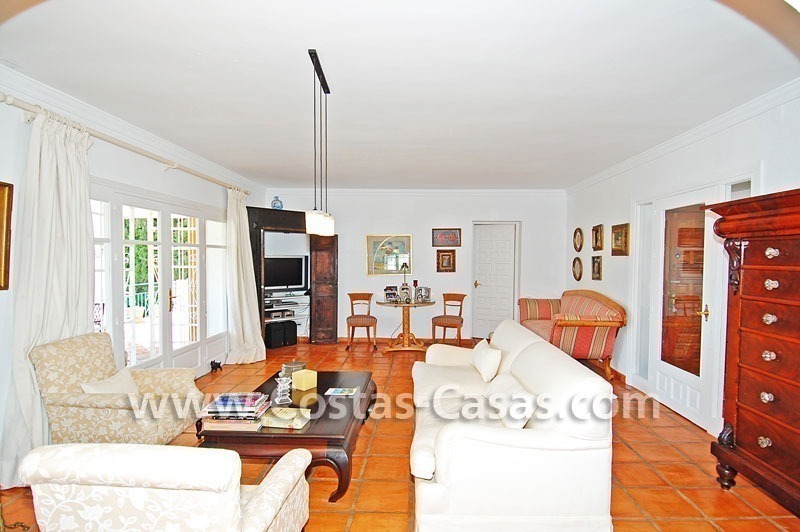 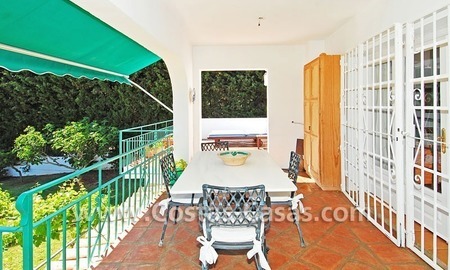 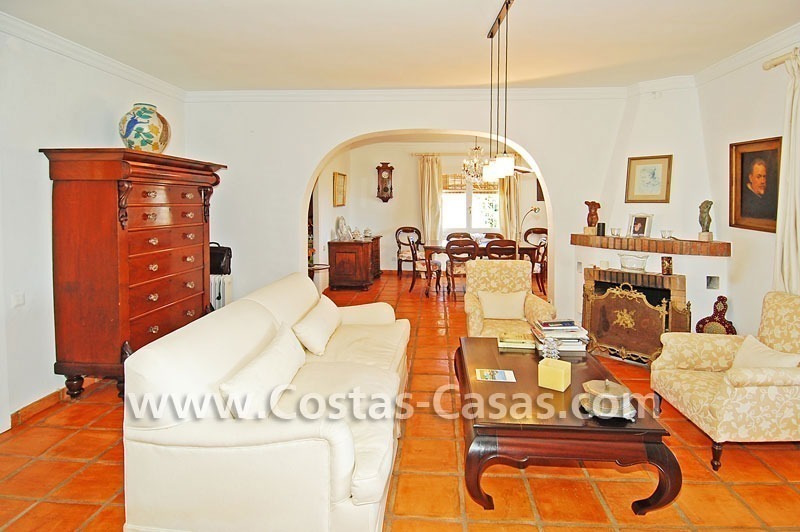 Only a few minutes away from Marbella centre, Puerto Banus, all amenities, all amenities in the area and the beach. 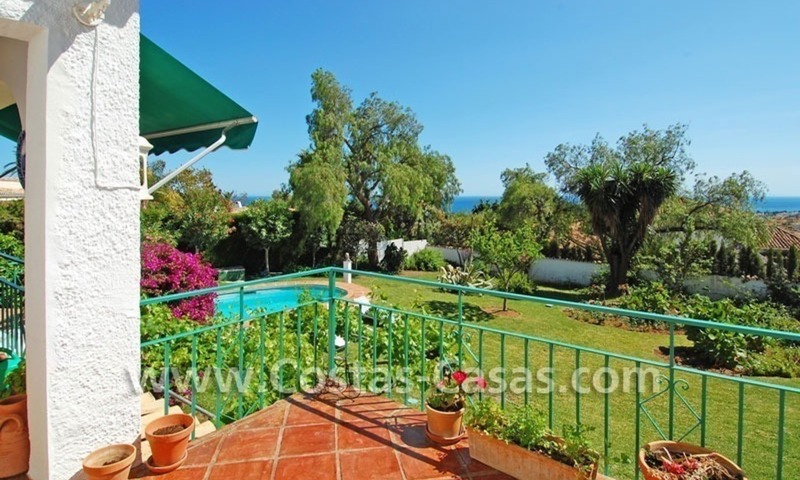 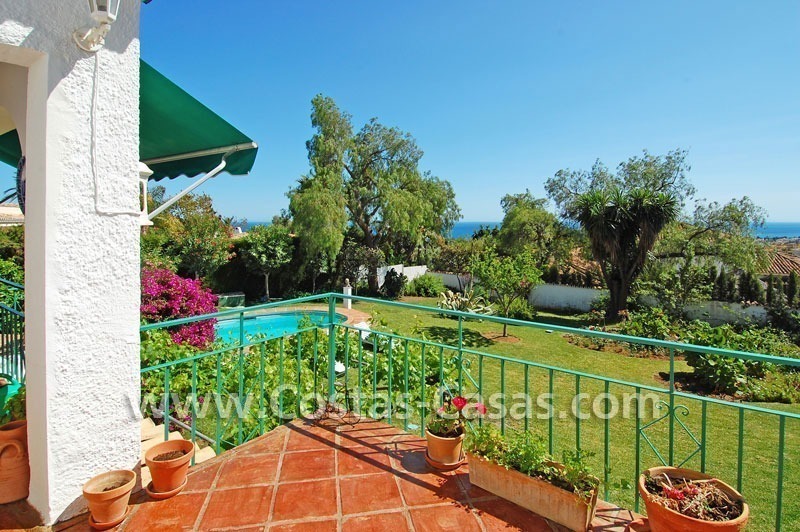 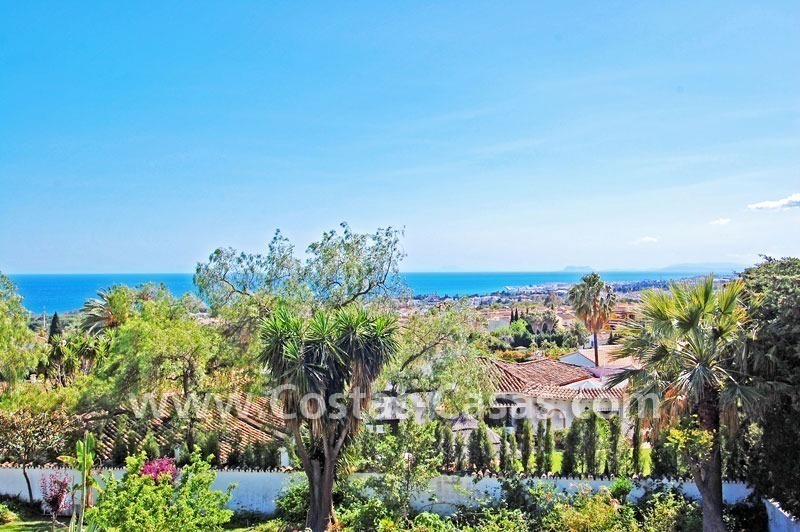 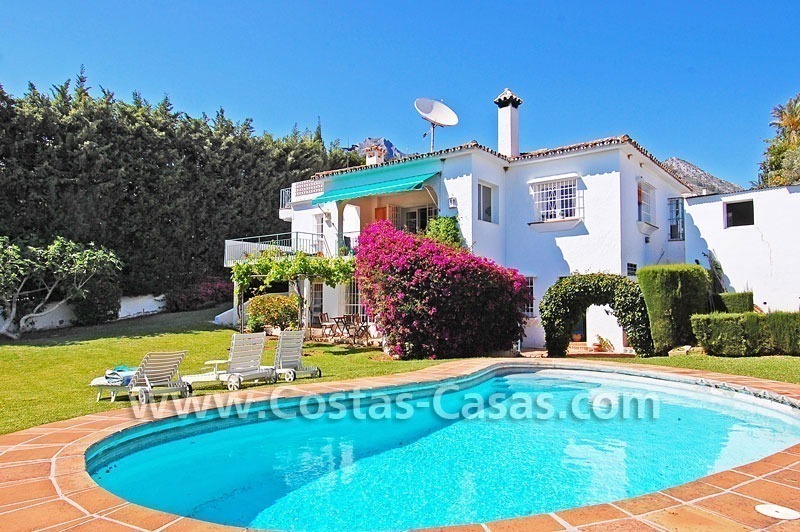 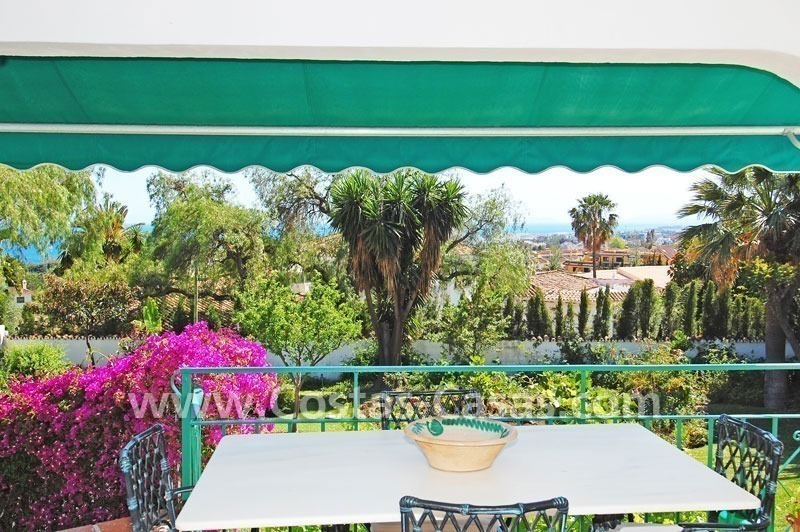 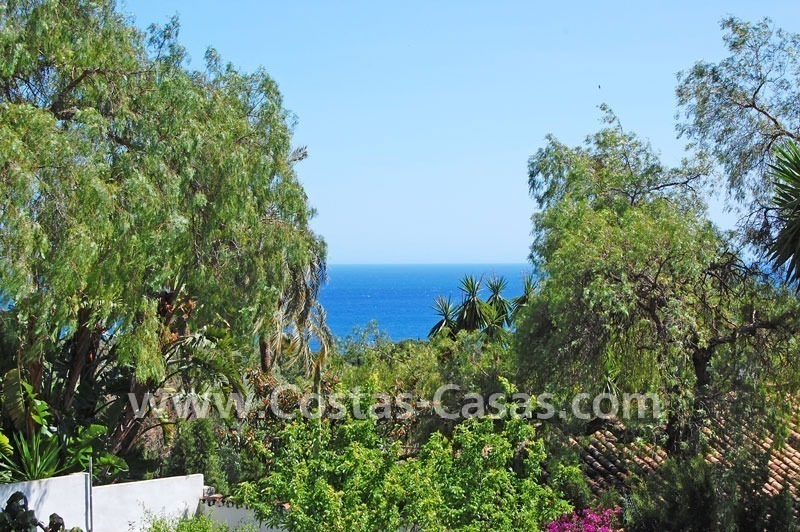 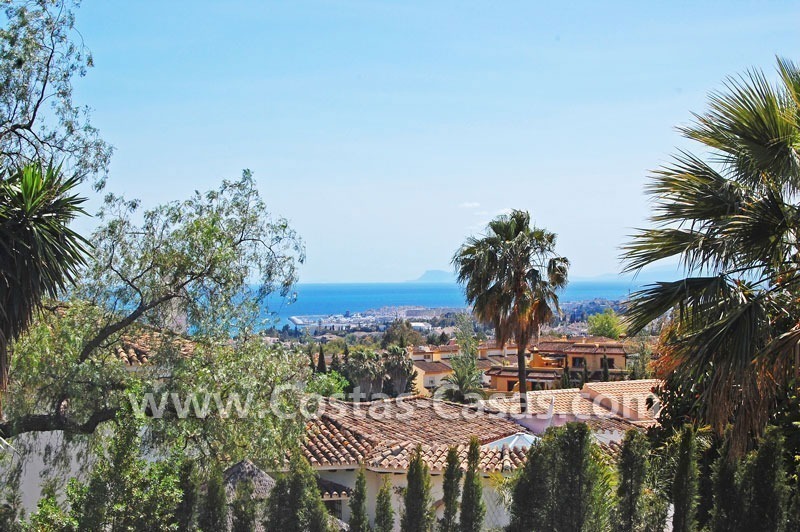 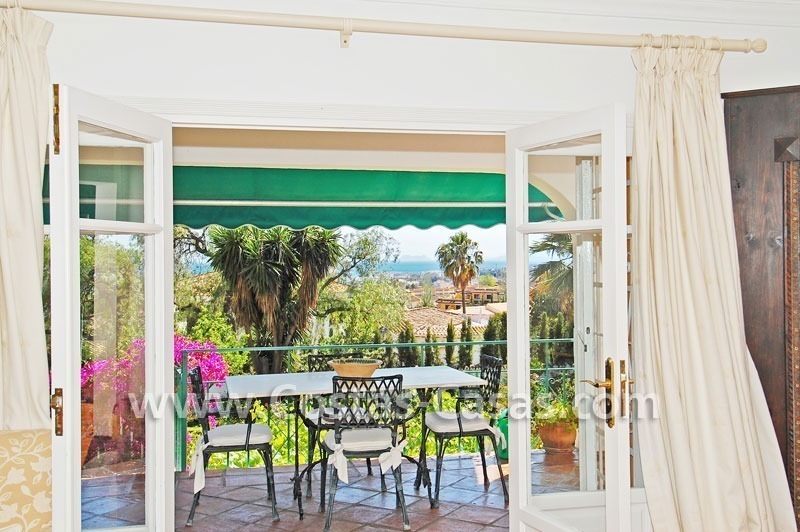 Stunning views to the pool, the garden, the green area, Puerto Banus and the sea up to the northern coast of Africa. 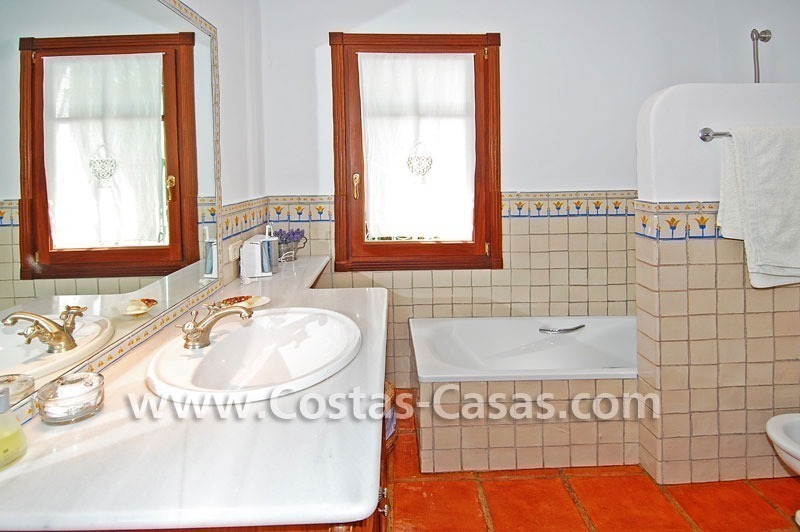 3 bedrooms, 3 bathrooms, of which two are en-suite, plus a guest toilet. 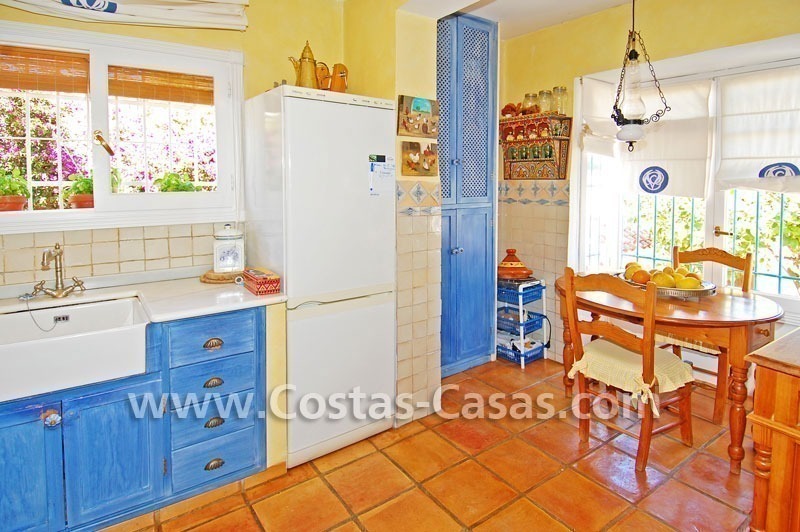 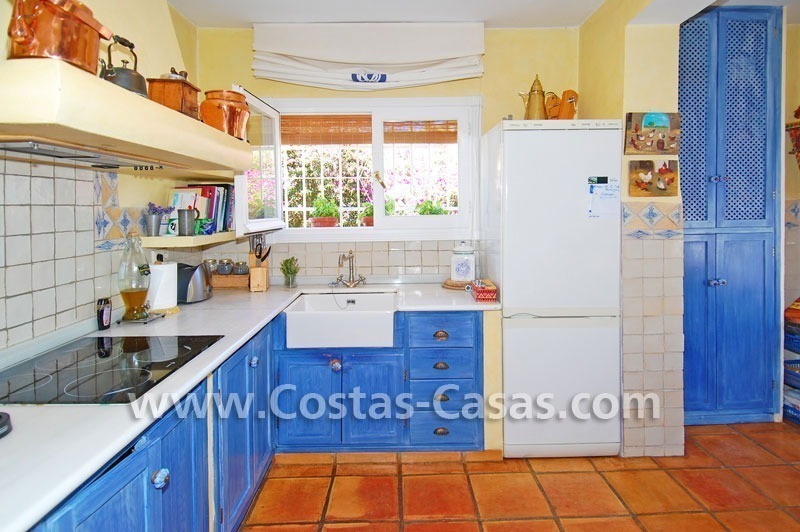 Open fully fitted and equipped kitchen with all the appliances and breakfast area. 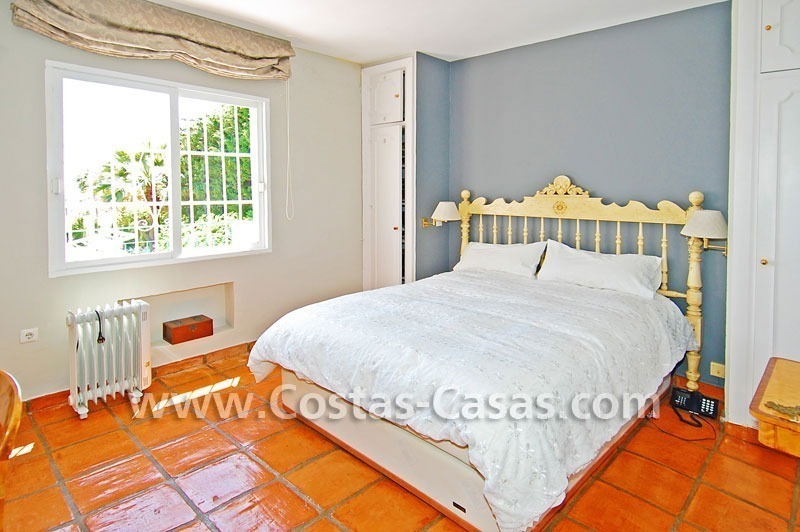 Master bedroom with en-suite bathroom and dressing area with exit to open uncovered cozy and sunny terrace. 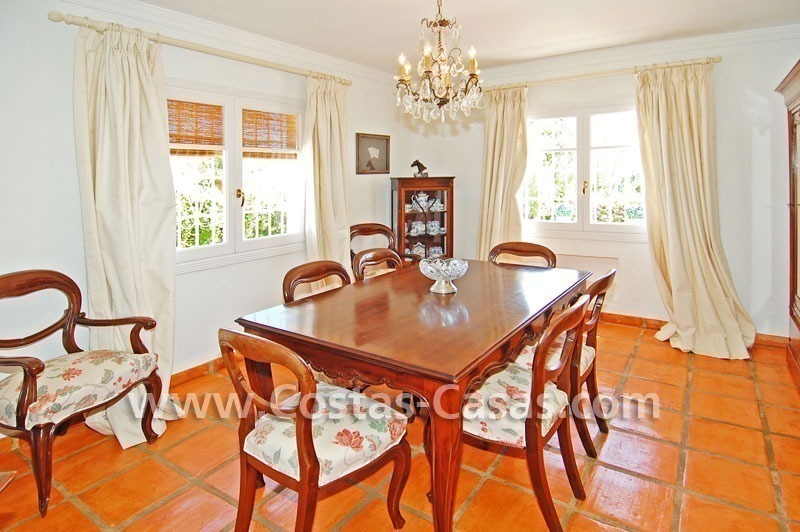 1 bedroom plus 1 bathroom separate apartment for guests or service. 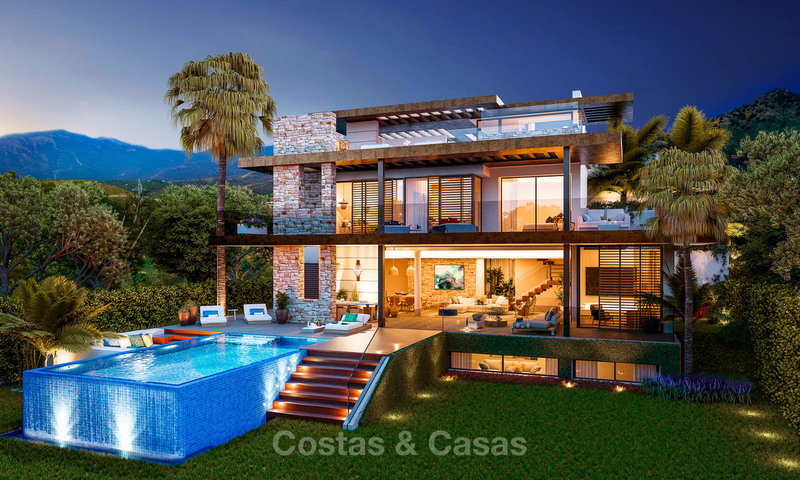 The building license allows you to build an extra bedroom if desired. 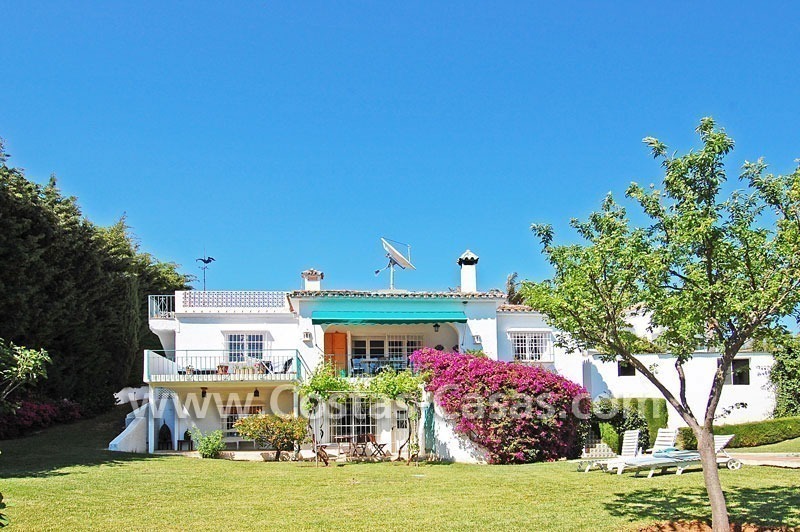 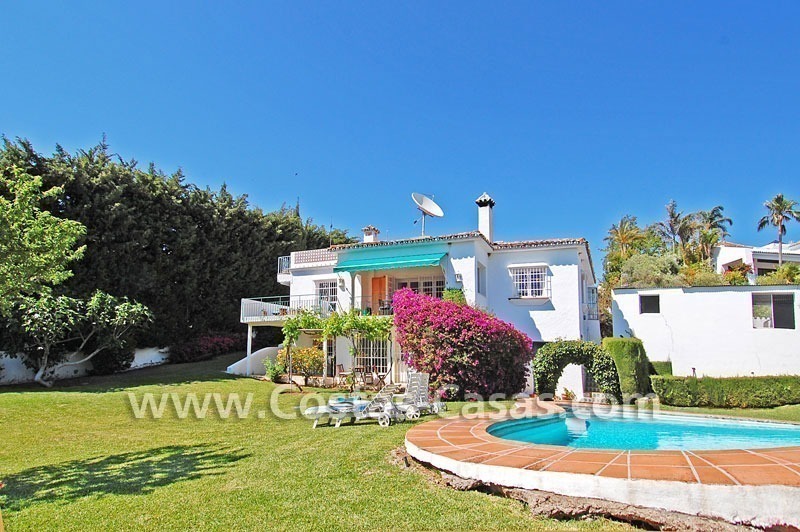 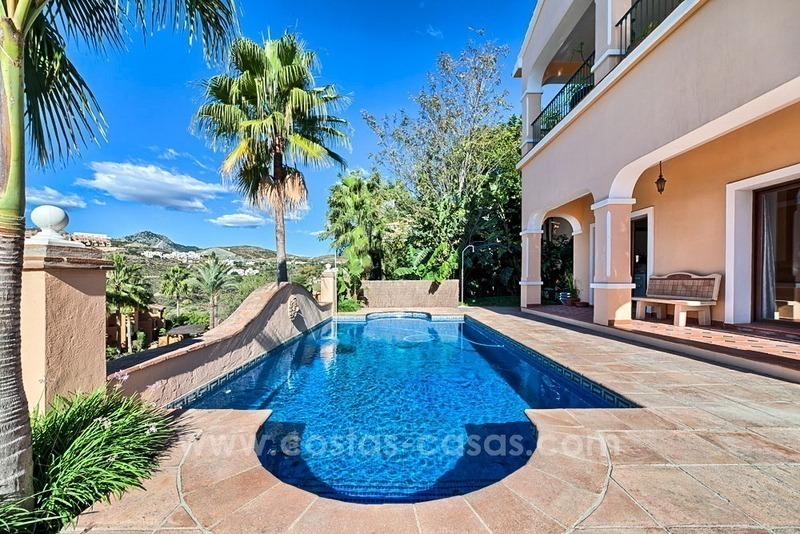 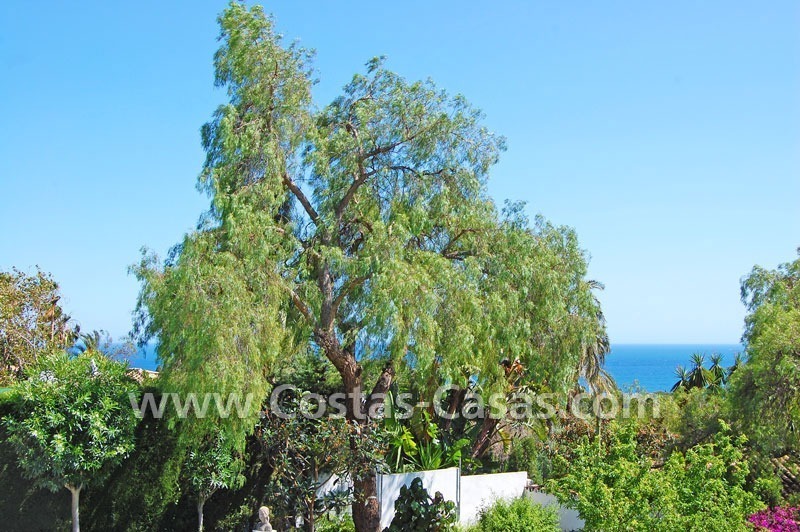 This property for sale is an excellent investment opportunity as you can renovate and modernise the villa and have a property with a higher value.